Congratulations! 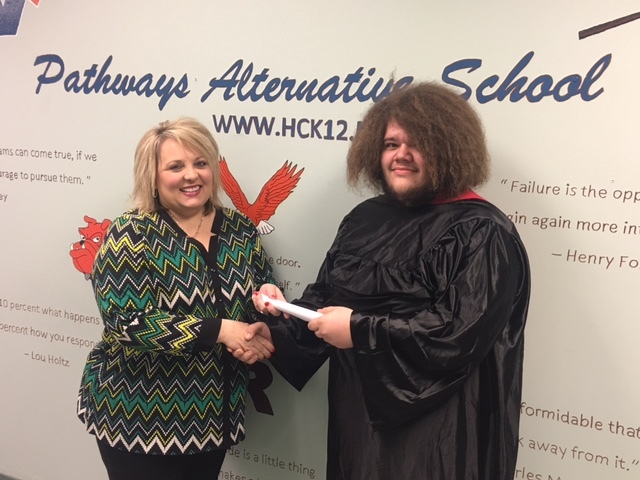 Drew, our latest graduate, completed his diploma while placed at Pathways Alternative School. An essential mission of Pathways Alternative School is to provide students an opportunity to continue their education. We are proud of Drew and all his hard work. 100% of the faculty/staff at Pathways Alternative School are Highly Qualified as defined by NCLB.